For an international electronic music industry that is riding the very latest waves of the digital revolution, the summer of 2006 is proving to be as hot as London’s new future-focused conference. Currently in its second year, London Calling 2006 took place on Thursday 29th and Friday 30th June at Earls Court, London. This annual gathering is a hybrid experience that attracts an audience of thousands from around the globe by fusing elements of a music conference with an eclectic exhibition. It’s a unique exposition, aimed at everyone who is involved with music and anyone who feels passionate about the future of the business. 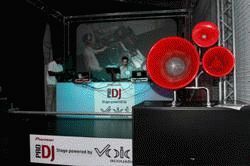 As part of the DJ Community area at London Calling 2006, Pioneer’s Pro DJ platforms at the event were certainly teeming with talent and digital innovation. Pioneer is right at the forefront of changes in digital DJing and its presence here included a stand that showcased its cutting-edge line of DJ equipment and a Pro DJ stage that showed how top talents are exploiting the creative opportunities presented by this new technology. The line-up of artists on the Pro DJ stage was magnificent and the myriad ways in which they blended and re-edited music on the fly using the digital set-up was breathtaking. Equipment on the Pro DJ stage included the hugely popular DJM-800 MIDI enabled digital mixer and the new MP3-compatible CDJ-1000MK3 digital decks as well as the EFX-1000 effects unit and Pioneer’s killer multimedia innovation, the DVJ-X1 DVD decks. 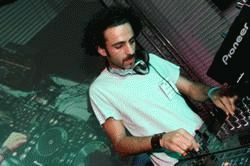 And DJs that came and conquered on the Thursday with breaks ‘n’ beats as well as with house ‘n’ techno included Rennie Pilgrem, Omid 16B, Demi, and Dominic B of the Stanton Warriors. 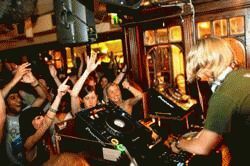 James Zabiela then provided a grand finale on the Pro DJ stage before later heading off to conduct similar tricks during his amazing set at Inigo Bar for their Breakfree Ibiza launch party. Propelling the Pro DJ stage into the audio-visual domain on the Friday through his expert use of the DVJ-X1 digital decks (mixing DVDs as DJs would CDs) was DVJ Kriel. His forthcoming book/DVD, How to DVJ, is already getting rave reviews and he kick started the afternoon sessions with a rhythmic sound & vision extravaganza that illuminated the dynamic future of digital DJing. Later, DJs Nick Liousias of Cr2 Records, RCaine (http://www.djrcaine.com) and Pioneer’s own Rik Parkinson followed DVJ Kriel on stage. 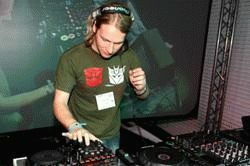 RCaine (aka Russ Taylor) is a 23-year-old up-and-coming DJ/producer from the Midlands and a London Calling success story. 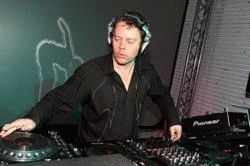 After receiving excellent feedback on his productions at the event in 2005, RCaine entered a mix competition in DJ Magazine to win a CDJ-1000MK3 and a set on the Pro DJ stage at London Calling 2006 – and, with an energetic blend of breaks, beats and bass, won. "It was a big bonus to win a CDJ through the competition with DJ Magazine,” said RCaine. “I only had vinyl turntables at home previously, so it's fantastic news and means I can now play CDs and MP3s – including my own productions. Once again, I had positive reactions to my tracks at London Calling and it was great returning this year to DJ on the Pioneer stage as well as at several off-site parties." The next London Calling takes place 28th – 29th June 2007, but for more information about this year’s event, please visit: www.londoncalling2006.com. For more details about Pioneer, please go to: http://www.djsounds.com.